Google, IBM and other technology companies are all developing quantum computers, using a range of approaches. Crucially, says project leader Andrea Mello, this so-called "flip-flop qubit" means the chips can be produced using the same device technology as existing computer chips. "This makes the building of a quantum computer much more feasible, since it is based on the same manufacturing technology as today's computer industry," Mello said. That would allow chips for quantum computers to be mass-manufactured, a goal that has so far eluded other researchers. IBM's quantum computer in the United States has 16 qubits, meaning it can only perform basic calculations. Google's computer has nine qubits. In theory, even a small 30-qubit universal quantum computer could run at the equivalent of a classic computer operating at 10 teraflops. The researchers' paper will be published in Nature Communications. Laszlo Kish, a professor at Texas A&M University, said it was too early to say if the research was a breakthrough "but it may be a step in the proper direction" in solving some of the key obstacles to quantum computing. 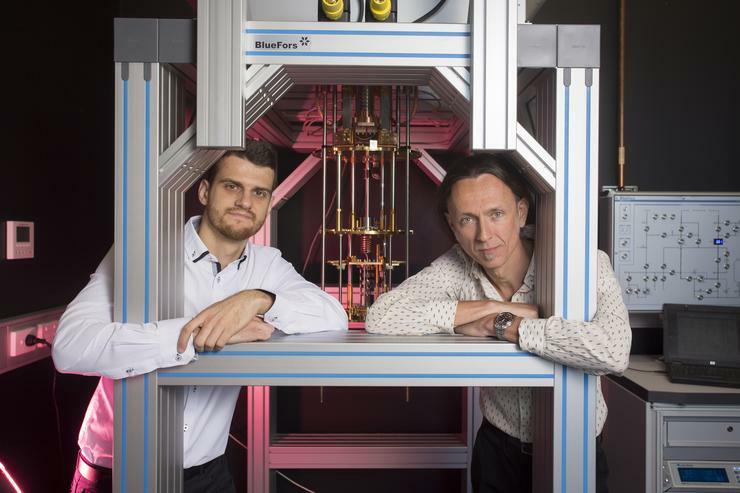 The university has set up a company, Silicon Quantum Computing Pty Ltd, aimed at commercialise its quantum computing technology, with investments from Telstra, Australia’s Commonwealth Bank and the Australian and New South Wales governments. The $83 million company plans to build a 10-qubit prototype silicon quantum integrated circuit – the first step in building the world’s first quantum computer in silicon - by 2022.